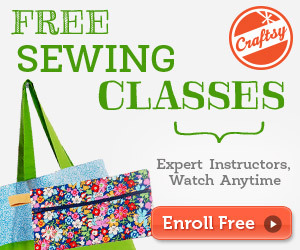 >> What is a Serger Sewing Machine Used For? What is a Serger Sewing Machine Used For? Sewing has been coming back in a big way in recent years. Whether it’s due to the high price of clothing today or just that people like the feeling of knowing they’ve created something beautiful and useful, more and more people are sewing and buying sewing machines. There are many styles of sewing machines on the market today each with their own features. The serger sewing machine is a very popular sewing machine particularly because of the professional look it gives homemade clothing. Learn about the serger sewing machine and what it’s used for. 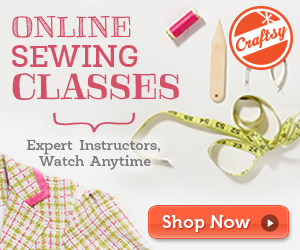 What Does a Serger Do? If you take a homemade item of clothing and a store-bought item, turn them both inside out and compare the seams and thread, you’ll see what a serger sewing machine can do. The serger not only sews the seam allowance or edge of the fabric together but it also overcasts the edges at the same time. Not only does it sew them together but also it trims the extra fabric at the same time. One of the things that make the serger sewing machine so popular is that it does several things at once. Serger sewing machines make sewing fun while giving your product a professional look. When people see something you’ve sewn with a serger machine, they’ll think it was professional made. The serger sewing machine is available as 2-4 thread sergers; 3-4 thread sergers and 5-thread sergers. The advantage of the extra threads is that it gives you wider seams, more stretch in the fabric, and more strength and durability in the finished product. These thread capabilities make it easy to work with knits and stretchy materials, which are often difficult to sew with regular sewing machines. In the 2-4 thread machine, two threads are on the straight stitch, and two are on the overcast stitch. The 3-4 thread serger, which is the most used serger, gives you an even wider and stronger seam because it rolls the fabric edges to the underside and catches them in the bottom thread. The 5-thread serger used three threads on the overcast and two on the straight stitch. Serger sewing machines can make several types of stitches such as cover stitch, flat lock, rolled hem, chain stitch, and several decorative stitches. Using a serger can give you the same look you’d get by using a double needle on a regular machine, but the serger gives it a more stretchy durability. Sergers finish edges and seams quickly while allowing you to embellish with decorative thread using cover or chain stitches. You’ll also see less rippling and puckering on fabrics that are typically hard to sew with regular machines. Sergers also work great with lightweight or sheer fabrics. It does a beautiful job of gathering fabric and also makes elastic and trim work easy and fast. Because you’re sewing with so many threads, sergers can speed up your sewing time because it’s sewing, overcasting and cutting at the same time. While a regular sewing machine will do a great job sewing, they do not have the features found on serger machines – the very features that give clothing a professional finish. However, despite all the things a serger sewing machine can do, you will still need a regular machine for buttonholes, embroidery, zippers, facing, top stitching and sewing in reverse. Many seamstresses use a regular machine for the basics and have the serger for all the other sewing and overcasting. Although it is possible to sew a project 100 percent with a serger, a serger cannot replace a regular sewing machine. However, it will give you the professionally finished seams you’ve always dreamed of having on your homemade clothing and projects. Thank you for all this great information about sergers! I really like your point about how if I use a serger correctly, it would turn a homemade item turned into a store bought quality item. I love the ideas of my sewing looking professional because sometimes I just can’t get the hems correct, so this would be a great solution.